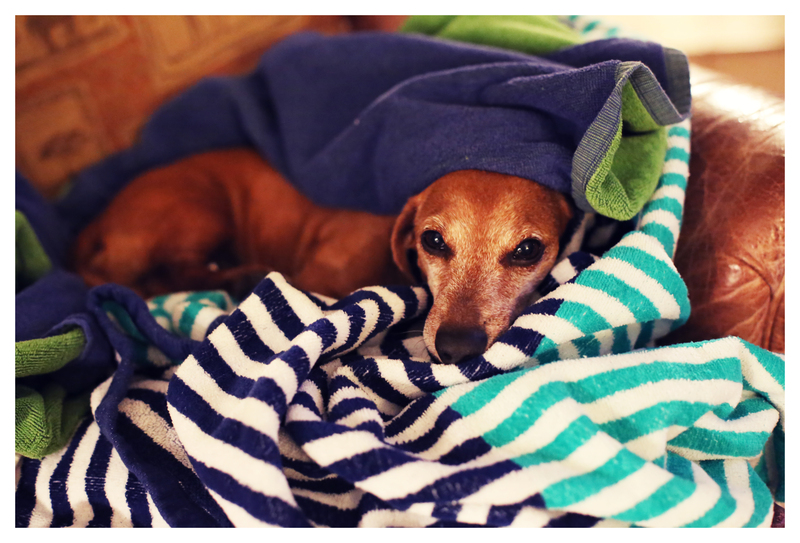 The top photo is Rufus snuggled in some warm, fresh laundry. He is a freshly-pulled-from-the-dryer laundry magnet. He will literally follow me from the dyer to wherever I put the laundry to fold and roll in it. Rufus is so smart. Out of our trio he is the only one to do this. I say laundry never looked so good. The bottom photo is Emily and Lily cuddling in the crate. I have a crate that is big enough for all three. I move the crate around as needed. Sometimes it’s covered, sometimes it’s not but regardless it remains a favorite hangout and safe haven for my doxies. 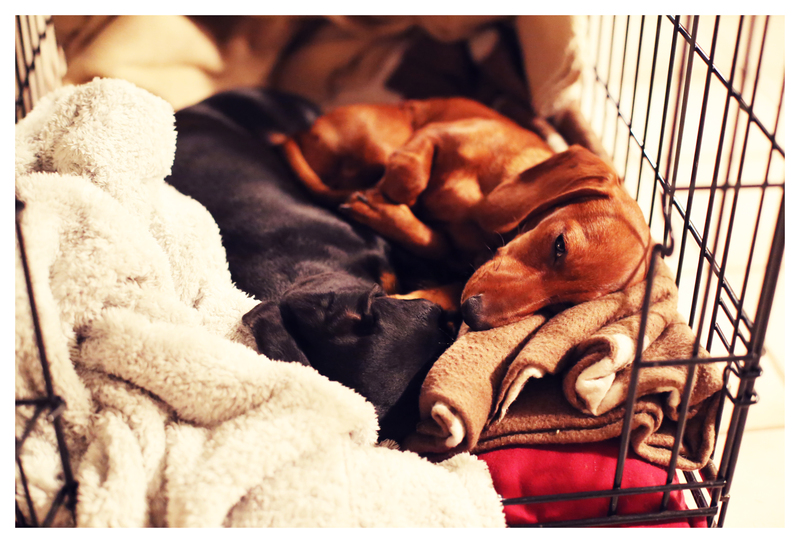 They absolutely love their crate and visit it throughout the day and night all on their own. I keep lots of soft blankets inside making it a very inviting place. At home we have a several soft crates of varying sizes – their comfort hides. When first rescued Hannah and Cowboy they were released with a crate, but after Hannah got her foot caught coming out the gate (scared me to death, thought she broke her foot!) I decided that piece of equipment wasn’t for us.